It had been nearly five years since Justin Allgaier had last visited a NASCAR Victory Lane prior to his Xfinity Series win at Phoenix on Saturday. He admitted there were times during that dry spell that he questioned whether he should continue pursuing his racing dreams. But two things kept him on track – a supportive and loving family and a sponsor with a dedicated belief in what he could accomplish. 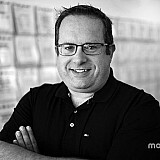 “For me, it’s been a challenge. 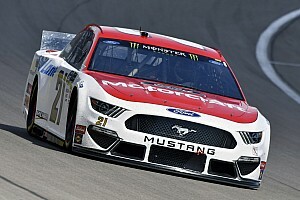 There have been moments in my racing career when I questioned why I got up in the morning and went to the race track,” Allgaier said following his win on Saturday. “That’s one of the things Dale (Earnhardt Jr.) and I started talking about when I went to JR Motorsports, is that I would have a fast car and I would have a shot to win races and a shot at a championship. Allgaier, 30, has been a journeyman of sorts in NASCAR. He has competed full-time in both the Monster Energy NASCAR Cup Series and in Xfinity and also made eight starts in Trucks. His first Xfinity win came in the 2010 season driving for Roger Penske. 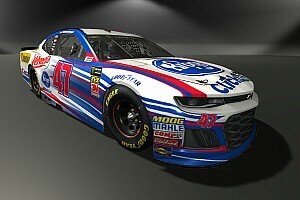 He earned two more wins with owner Steve Turner then drove for HScott Motorsports in Cup in the 2014 and 2015 seasons. Allgaier moved to JR Motorsports in 2016, along with longtime sponsor Brandt, and although he didn’t register a win, he advanced to the Championship 4 at Homestead, Fla, and finished third in the series standings. The winless years were tough and he questioned his commitment at times, but his family kept his going. “The push and the drive that they give me – it’s so cool. 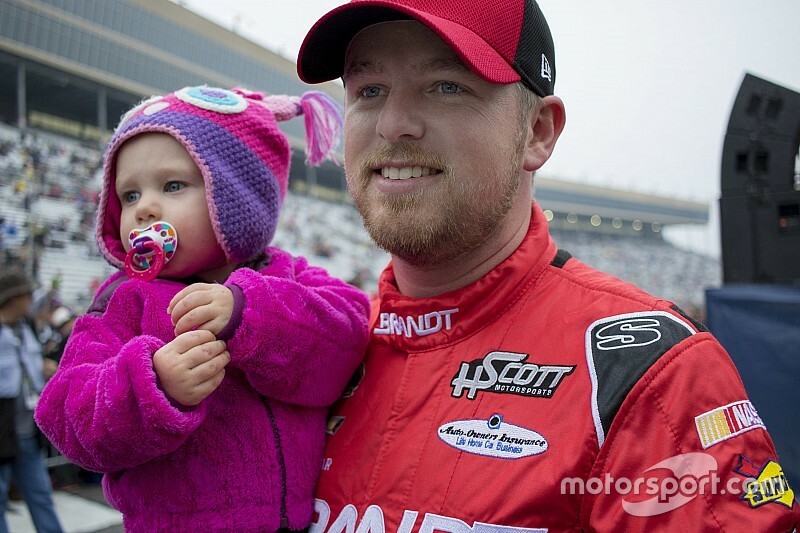 Before the race, I got to FaceTime with my daughter (Harper) and my wife (Ashley) got on FaceTime with her and said, ‘Good luck, don’t crash and drive the wheels off of it.’ Those are moments you can’t get back,” Allgaier said. Allgaier also signaled out his mother and father, Dorothy and Mike Allgaier, for their support. “They have been huge supporters and have come to every race and have been there for me,” he said. “This is family deal. It started out 25 years ago and I was racing and it runs in our family. We got in the motorhome or got in the car and drove to wherever the race track was. Another reason for Allgaier’s persistence has been Rick Brandt, the CEO and president of the family-owned Brandt Co., an agricultural services company, which has sponsored Allgaier’s NASCAR endeavors since 2011.